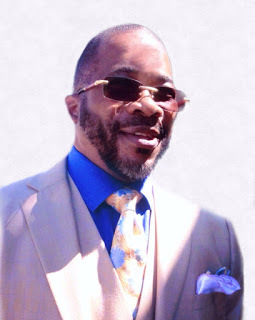 From his ministry based in Orlando, Florida, Pastor Ronald H. Brown uses FreeConference.com to conduct daily prayer lines every weekday at 7 AM to lead intercessory prayers on behalf of all those in need of spiritual aid, and to discuss the teachings of the Bible with his congregation. Before starting The Tabernacle of God Ministries in 2001, Ronald H. Brown had lost his job, and had lived through the life-altering experience of the passing of his son. He happened to come into possession of an empty building through the seminary school that he was attending, and felt compelled to undertake the work of Christ by creating T.O.G. ministries. Pastor Brown and his congregation begin each weekday morning with an intercessory prayer using FreeConference.com’s free conference calling service, with 500+ conference to date, and over 100,000 minutes logged. They pray on behalf of those in need of support –whether spiritual, physical, or emotional. Most of them have already reached out beforehand to ask for prayers, but the ministry also prays for Congress, First Responders, and their country as a whole. T.O.G. Ministries gets callers from as far away as South Carolina, Colorado, Illinois, and even from outside the country, all of whom are connected seamlessly using FreeConference.com. These callers all depend on FreeConference.com to connect them to the ministry from their unique locations. “FreeConference.com is so beneficial to us. There are so many people that we would have never seen, spoken to, and helped, without FreeConference.com,” says Pastor Brown. When it comes to planning trips and co-ordinating with out-of-state church members, Pastor Brown and the members of T.O.G. Ministries use FreeConference.com to keep in touch with each other and to save on long-distance fees. They use free conference calls as a support system to keep their members on track. 24/7 on-demand conferencing helps Pastor Brown and the other members of T.O.G. Ministries to spread the word of God to anyone who is in need of support, and to act as agents of change within their community. More information on The Tabernacle of God Ministries can be found on their website, or The Tabernacle of God Ministries’ Facebook Page.